I went to the hospital to see my friend Dan Lacoursiere today, and he looks like he may be on his way out. He has been battling cancer since August, and well it looks like it is taking its tole on him. They are pumping him full of morphine every 15 minutes to keep him comfortable and it will probably be just a few more days and I will need to say good-buy to a great friend. The first system I built that hit over 140 was in Dans Blazer, and from then on he was hooked on DB Drag racing. In 08' he competed locally and wanted nothing more than to get louder...So in 09' we put a Street A system together and were #2 in Western Finals that year. His goal for the 10' season was to put a wall in something, and unfortunately was feeling under the weather all last year. We built up Dan's Jetta to compete SQ (so that Karma Camilian -inside joke) would sound good, but is still on hold. I am hopefull that he'll get better...any prayers would be welcomed. sorry to hear this bill, hope all turns out for the best. Oh no, sorry to hear about this. Our thoughts are for him and his family. Recovering from cancer is possible so there is hope. As a survivor myself and been on that morphine train it tears me up thinking that a fellow competitor is going through this. give Dan my best Bill, we had fun together trying to get the blazer louder in your bay rewiring grounds etc for your competition that year, tell him I've graduated from 1 18 to 2 18's now and hopefully he will be able to see the end result for himself, that should put a smile on his face. Last edited by [email protected]; 06-03-2011 at 10:07 PM. Dan's Memorial is on June14/2011 at the Glad Tidings Church @ 11:00 am. The family has requested that any donations on Dan's behalf go to the special olympics. 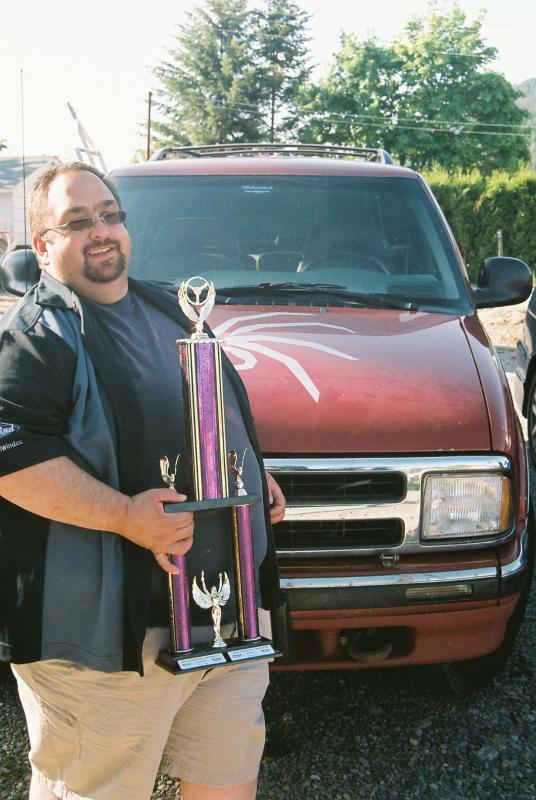 Dan worked with the mentally disabled, and always had a heart for the underdog. He will be greatly missed.